One of the first decisions a creative professional makes upon starting their business is deciding on a name for the company. It’s also often one made in haste while a bank associate is setting up a business bank account. Since it’s literally the identity of you and your business, it’s important to give it some thought beforehand. This is a natural fit for someone in the creative arts. You are the designer, illustrator, or photographer and the creative force behind the work, so why not name your business after you (Lastname Design, Lastname Illustration, or Lastname Photography ?) These types of names lend a distinctly personal feel to the company and one would expect for it just to be you behind the curtain. These tend to work well for illustrators and photographers as their own sense of style and technique goes directly into the work they do. It also makes networking easier as your name is tied directly to your business. For designers it gets a bit tricky. Sometimes, clients (and creatives) like the idea (or at least appearance) of it being a “design group” rather than just one person. This doesn’t come across when it’s just one name. These names also tend to work better if they’re uncommon names. These include anything that isn’t a personal name (things like Ink Creative, Waxed Floss Illustration, or Low Tide Photography.) 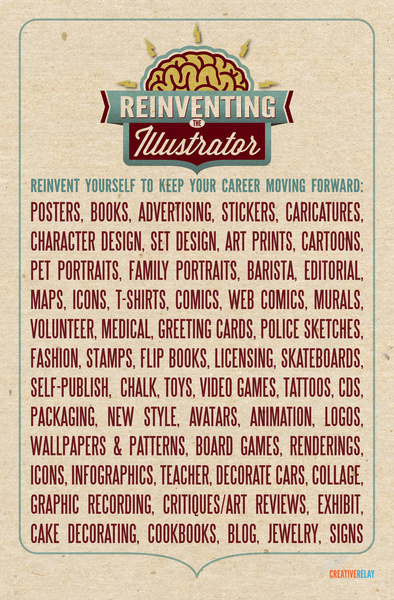 As a dovetail to the personal names, these tend to work better for designers than for illustrators and photographers. These names give potential clients the idea that you’re more than a one-person shop (even if it IS just you). It’s important to be consistent in how you address your business if this is the case. I’ve met a few sole proprietors that say things like “We here at Widget Design…” Unless there’s a mouse in your pocket, and he’s on the payroll, I think it’s a bit disingenuous and quite silly to reference “you” as “we.” However, if you do work with other creatives either as collaborators or under contract, having a”business” name can make things a bit easier. For illustrators and photographers that go this route what you trade off in personality, you get to make up in carving out a niche. Let’s say your photography business is based primarily on shooting high school sports. In that case “Varsity West Photography” says that much more effectively than “Ann Richards Photography ” Likewise, an illustrator who works primarily on political cartoons is more marketable as “Left of Center Studios” than they would be using their own name. If you come up with something unique, make sure you do some searches. First, check to see if the domain is available. I can say from personal experience it isn’t even worth trying to come up with names without sitting in front of who.is and running all of them through there first. Then, be sure to do a general Google search for the name. A colleague recently had a client that had a great idea for a name of his consulting business. It was an obscure reference to bootleg Grateful Dead tapes. Cool! Unfortunately, it was also the name of a metal band that dresses in costumes covered in blood. And images of this came up first in a Google search. Not cool. So before you go down the road using a name you may later regret, take a few days to bounce some ideas around. Ask friends and relatives what comes to mind when they hear it (especially older and younger folks as names might bring up different connotations based on age.) And since building a name for yourself can be an enormous task, make sure it seems like something you’ll be happy with ten or twenty years down the road. Ready, Set, Freelance is a series of articles based on Ed and Justin’s presentation of the same name. Actually, it’s more of a crash course into the wild world of freelancing. The articles provide guidance on how to navigate the pitfalls and rewards of working as a freelance creative professional. Enjoy.